I RECENTLY spoke to Vanessa Mann, author of the “Junior Flyer Logbook: A Special Logbook for Recording Your Special Travels”. Vanessa and her family are frequent flyers to the mainland (Vanessa’s original home) for business and to visit family. While her young children derive much joy from flying – they have already made trips to Japan and Vanuatu, Vanessa admits she found it frustrating that there wasn’t a resource available to make their trips more memorable. 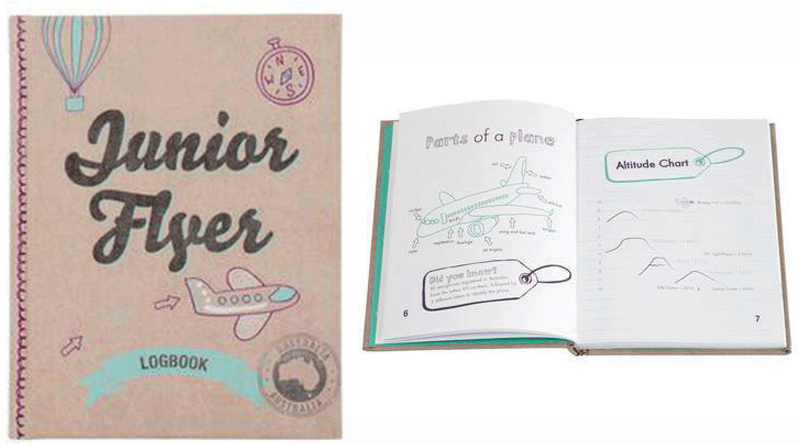 Identifying a need in the market for a travel diary, the “Junior Flyer Logbook” was born. The book encourages children to record the details of their trip so they can look back with appreciation in the future and continue their love of travel. 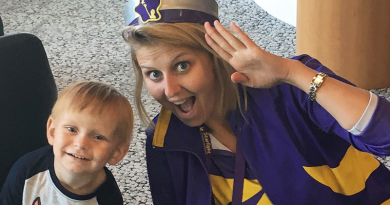 Young flyers can record their seat number, the reason for travel, where they are headed, the inflight movies they watched and the meals they ate. The book also contains essential information for all future pilots, including a labelled diagram of illustrating the parts of an airplane, an altitude chart, aeronautical history and interesting trivia on how air traffic controllers can tell the difference between planes for Hobart in Australia and Hobart in Oklahoma, United States. There’s also a plethora of air-travel related facts so readers can quiz fellow junior travellers – for instance, did you know that the highest airport in the world is in Tibet, China; the Don Muang Airport in Thailand features a golf course between landing strips, the Queen does not possess a passport and Australians can learn to fly at the age of 15, even though they cannot legally drive a car for a year or more later?